If you are thinking about carrying out a tree trimming or pruning project, the first thing that you should do is consult a professional tree removal company. Several avoidable accidents have occurred due to homeowners venturing into tree care without any training or equipment. If you have fallen trees and broken branches, or a tree that may be a threat to the safety of your family or property, don't take any chances; hire a tree care professional. Tree care specialists protect your property, help prevent accidents, detect diseases in trees or shrubbery, and most importantly improve the aesthetics of your home. When looking for tree care services, you need to put in a sufficient amount of research to find someone that matches your expectations. You need to go through reviews you see online and speak to people who’ve worked with them. At Acorn Tree Services, we are confident about the services we provide and will not shy away from giving you references. Besides, we will be happy to tell you why we are the top name in tree care. We have been providing tree care services for the past twenty years and are proud to have many happy clients. If you’re looking for tree care specialists, here are a few reasons why we are the best at what we do. Our professionalism. We arrive at any job with all the right equipment, crew and experience to do it right the first time. Our turn around time. We have a quicker turn around time than any of our competitors. We can carry out quick surveys, draw up estimates and complete jobs with diligence as we pay attention to details. Our commitment. We are committed to providing long-term services. We don’t just offer excellent services for the first time we come by, but we are established and will be there for our customers’ needs for the long-term as well. Our dedication. We are dedicated to providing professional services and guaranteed high-quality work right from start to finish. Our reputation. We hold an excellent reputation within the metroplex due to the way we treat our clients, how we do business and the quality of our service. As the best full-service tree company in Dallas and Fort Worth Metroplex, including Southlake, Keller, Colleyville, Grapevine, North Richland Hills, Lewisville, Argyle, Coppell, Hurst, Euless, and Bedford, TX, we ensure that we exceed expectations and always put you first. To learn more about the services we offer at Acorn Tree Services, please click here. 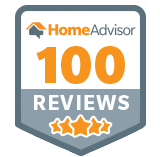 To read what our clients are saying about us, please click here. If you have any questions about how we can help you, get in touch with us by clicking here.